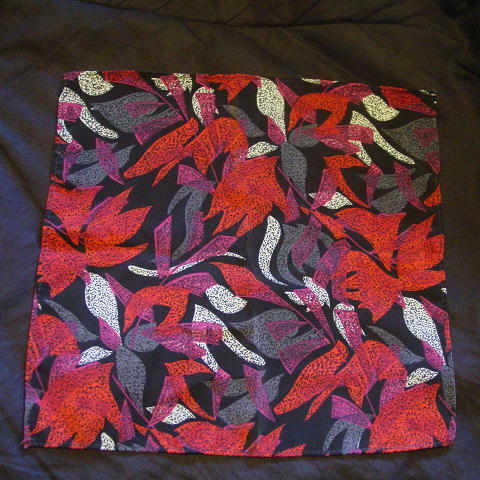 This synthetic fabric pocket square has a black background with a freeform leaf design pattern in red, dark gray, and white. The leaves all have freeform black speckles within their borders. The fabric is darker on one side.